Set of 4 Sunblind's for rear door windows and rear quarter lights. The sun blinds are specific to each vehicle. As a result, your windows are perfectly shaded. 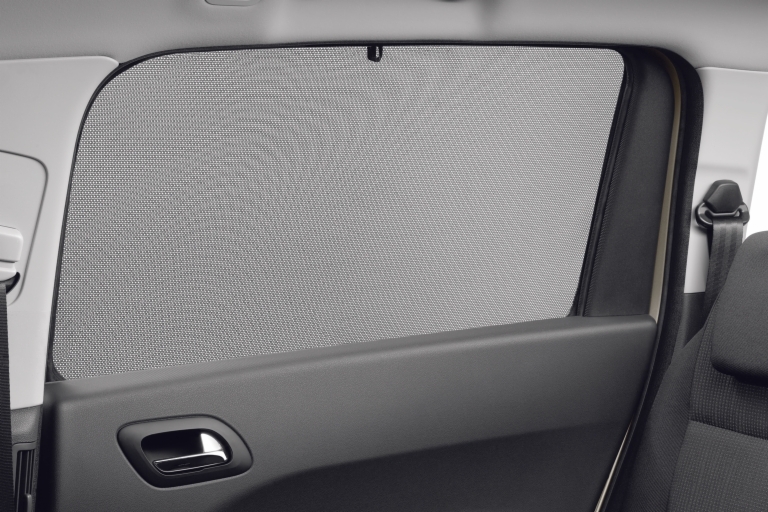 Their strong filtering power effectively protects your passengers against the sun's rays and prevents any increase in temperature inside the vehicle. Furthermore, they conceal your personal belongings. Product Description: Set of 4 Sunblind's for rear door windows and rear quarter lights. The sun blinds are specific to each vehicle. As a result, your windows are perfectly shaded. Their strong filtering power effectively protects your passengers against the sun's rays and prevents any increase in temperature inside the vehicle. Furthermore, they conceal your personal belongings. Product Fitting Note: Set of 4 Sunblind's for rear door windows and rear quarter lights.